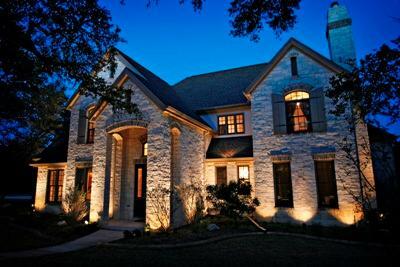 Our outdoor lighting and holiday outdoor lighting delivers on the promise of set it and forget it convenience! Our LCA lighting timer delivers on the promise of set it and forget it convenience. How many devices can you think of that have promised set it and forget it convenience over the years and have actually delivered on that promise? From the era of programming your VCR, to the coffee makers that have left you perkless first thing in the morning, I am sure there are a host of devices that have not stood up to the promise of making life a little easier for you. Automation technologies have advanced quickly in just a short period of time, just like the commercial says ” you have come a long way baby “, today’s consumer now relies on automation to perform a myriad of daily tasks. 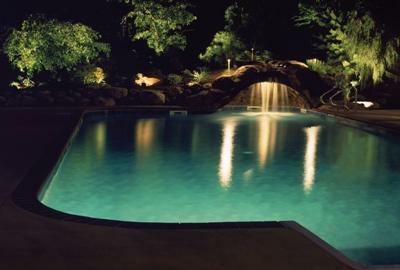 Outdoor lighting is at the top of that list for many consumers. With daylight savings time and holiday lighting season just around the corner, now is the time to learn more about outdoor lighting automation to make this the most effortless and enjoyable season ever! Our Set it and forget it technology makes setting your outdoor lighting for seasonal changes such as DST a breeze! 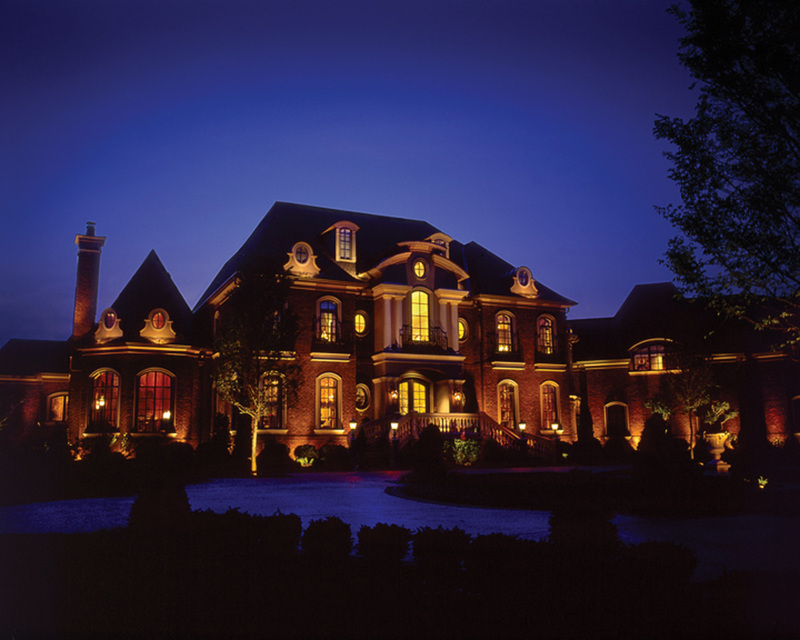 Here at Outdoor Lighting Perspectives of Nashville we are constantly watching the world of outdoor lighting change. Since 1995 we have been installing high quality and beautifully planned outdoor lighting for residential settings as well as commercial. As the technology has improved our quality of life as a whole, much can be said to the same effect about outdoor lighting. Convenience and dependable technologies is the case with the use of the lighting automation timer that we currently use in our outdoor lighting applications. 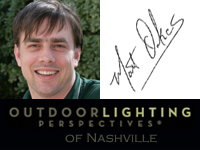 Matt Oakes, the automation expert at Outdoor Lighting Perspectives of Nashville explains just how carefree and simple the use of the lighting automation timer really is. ” It is a set it and forget it system. Homeowners think that the component has to be constantly adjusted, and this just isn’t the case. When we do the install on your lighting and all the components involved, once the timer is set, you’re done. If the need arises to make changes, we can make the changes via the internet for you. The time adjusts for sun-up, sun-down, seasonal time changes such as DST and of course leap year too. 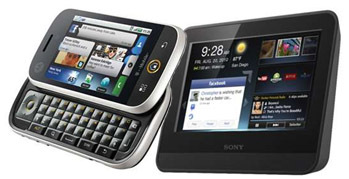 We can even program in a vacation setting, or an out of town setting. This works really well for people who travel frequently, we call it the lived in or at home look , always keeping safety in mind. Even if the power goes out your timer won’t need re-programming. All memory that is installed in a non-volatile state is remembered. It even self-adjusts to keep the current time. This is truly a system that never has to be re-programmed ever, just set it and forget it”. Outdoor Lighting Perspectives of Nashville’s holiday lighting is effortless enjoyment for the holidays! Outdoor Lighting Perspectives of Nashville offers this same convenient and dependable technology to our holiday lighting customers too. We stay ahead of the competition by utilizing the newest in holiday outdoor lighting technologies through lighting control automation. We can even program your interior holiday lighting to come on and go off at the same intervals your outdoor holiday lighting is set for. 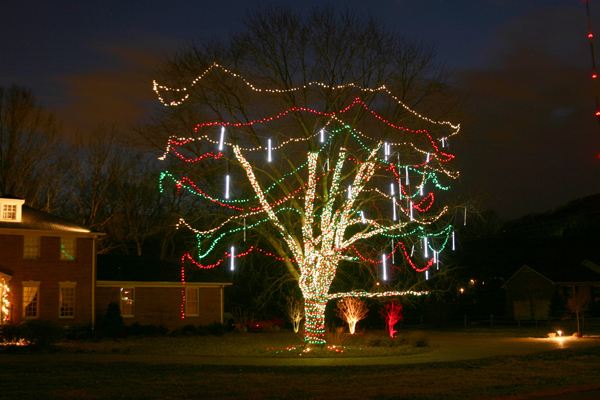 We can program you holiday lights to come on and go off each evening at a specified time without you ever having to worry with touching a single switch. 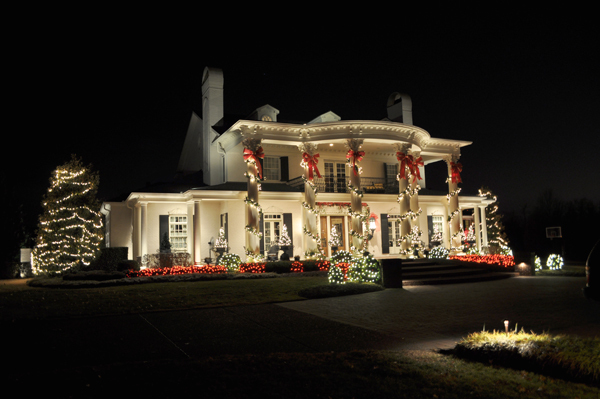 Outdoor Lighting Perspectives of Nashville offers you the option of making your holiday lighting display as laid back or over the top as your heart desires, as we offer many amenities to compliment your holiday lights including lighted wreaths, and garlands. In the even you really want to make a statement, we can even sync your lights to play in time with pre-selected holiday music. The choices of our holiday lighting automation are only limited to your imagination and your budget. We added music to this automated holiday tree lighting installation. Not only does our holiday lighting program offer you the newest and best in holiday lighting, put away the ladder and worry that you will get tangled again this season within your string lights. Our program offers the most convenient, hassle free, sit back and enjoy the season service you can get. We design and install your holiday display in plenty of time to get all the enjoyment before the big day arrives. After the holiday hustle and bustle we then remove your lights and store them in our temperature controlled warehouses for use again next season. Not only does this mean you can allocate that extra storage space you will have for a new use, it also means you have the capability of adding lights and extending your display year to beautiful year at your discretion without the worry of where to store it. To see more breathtaking outdoor holiday lighting images of Christmases past, visit our holiday lighting photo gallery located on our website. How much time will you spend this evening programming your outdoor lighting for daylight savings time? Our LCA technology ensures your lights will be on when you need them, each and every time. Tonight is the night. 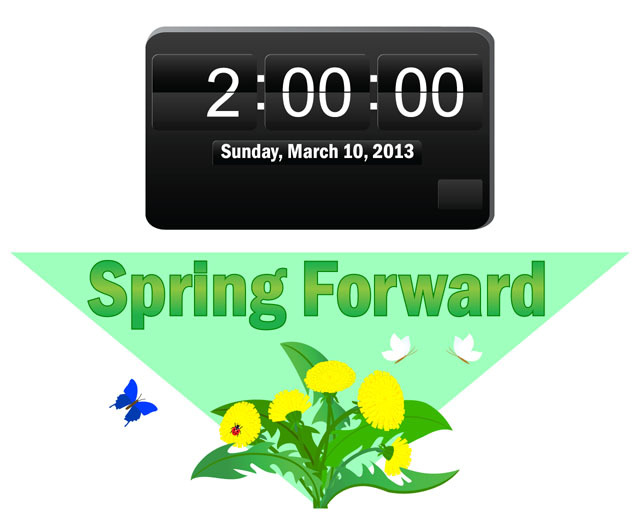 Daylight savings time begins at 2:00 AM Sunday, March 10th. This time change means that many homeowners will be busy setting their clocks and other timed devices an hour ahead this evening to ensure the correct time. If you are still using a manual outdoor lighting timer, you are probably busy programming your timer right now in lieu of DST. 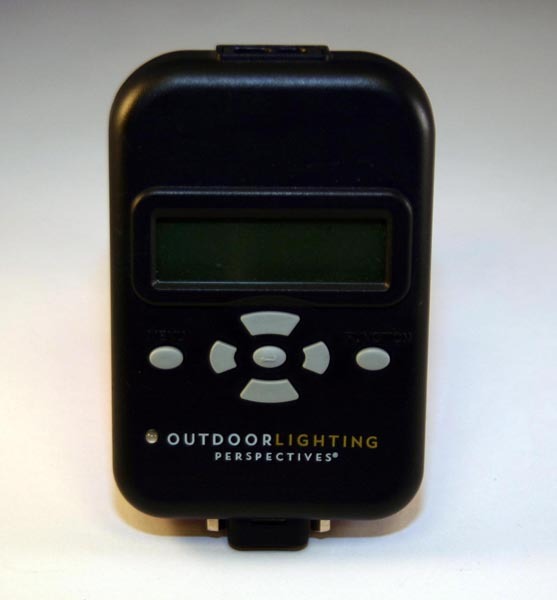 Manual outdoor lighting timers are simply time-consuming and inconvenient. As the days begin to get longer they also force you to chase dusk during the entire season. 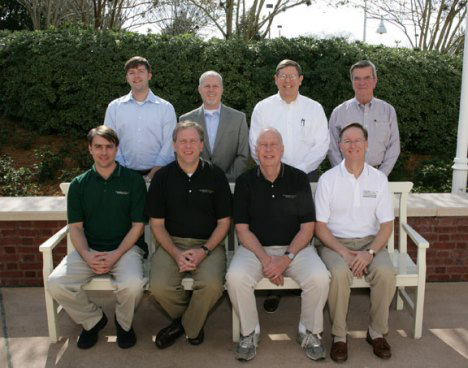 Outdoor Lighting Perspectives of Nashville wants to introduce you to lighting control automation, or LCA for short. LCA is convenient, versatile and will ensure that you will never have to worry about programming your outdoor lighting to accommodate DST, or chase dusk again. Not only does our LCA technology automatically adjust to facilitate the change for daylight savings time, it provides automation that you will enjoy every day. It simplifies your outdoor lighting. Our LCA provides effortless control of your home’s indoor and outdoor lighting and other powered features. The smart timer can do more than simply turn on selected lights at dusk. It can control your indoor and outdoor electric outlets. Here are just a few of the benefits LCA will provide. The possibilities are endless when it comes to automating your lighting needs for more convenient days and beautiful evenings. To learn more about our smart system lighting control automation contact Outdoor Lighting Perspectives of Nashville today. See more examples of our beautiful and intelligent outdoor lighting by visiting our landscape and garden lighting photo gallery and our architectural photo gallery located on our website. Outdoor Lighting Perspectives of Nashville uses sustainability practices and practices what they preach. Our approach to a greener workplace promotes sustainability, which affects our world on a global level. Nowadays, everyone you talk to is discussing the importance of living in a world where sustainability practices are key to preserving our environment on a global level. Small changes in the way you live and function on a daily basis can impact the entire planet in the big scheme of things. This includes the way you function on a professional level as well. Discussing the importance of sustainable living practices is one thing, but ” talking the talk” and “walking the walk” is another. Outdoor Living Perspectives of Nashville is instilling sustainable practices in our everyday professional duties in an effort to make a habit out of trying to better our lives and the lives of our grandchildren in years to come. We offer our clients a way to invest in tomorrow through the use of “green” outdoor lighting technologies such as LED and LCA, (lighting control automation), so we,along with our parent company, and our local manufacturing company ( B&B Mfg. ), are practicing what we preach about sustainable living practices. We are operating under a “green” approach to our workplace by recycling materials such as copper fixtures. We also recycle all the paper in our office and our goal is to allocate a paperless system in the near future by incorporating tablets with each of our field workers. We are also moving towards an automatic bill pay system so we save paper by not having to send out invoices each month. 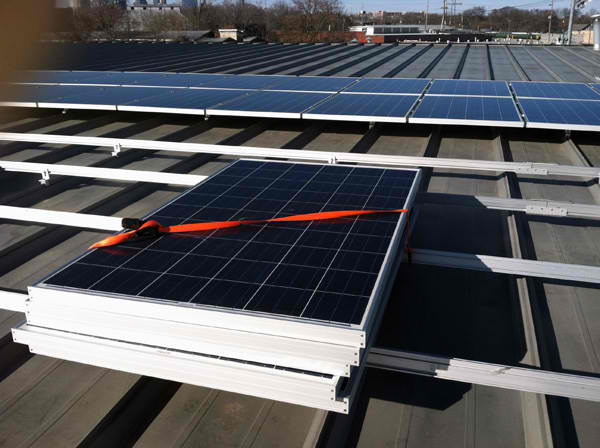 We are installing solar panels on our building as well, to reflect the importance of less impact on the environment by reducing power consumption. We are installing solar panels on our building to decrease energy usage in our workplace, and lessen our direct impact on the environment. By working in a field of expertise, such as outdoor lighting, that now has the technology to offer homeowners a more sustainable living product, such as an upgradeable LED bulbs that never get discarded in a land-fill but can be refurbished to reuse, it is a real “no-brainer” to begin at the core of our business. The workplace. Hopefully, each employee, delivery-person, and individual whom frequents our office will have these sustainability practices “rub off” on he/she and take a little piece of that realization back home with them creating a ripple-effect of sustainability initiatives to live by. Remember, that what we do today, will affect tomorrow. A safe house is a well-lit house. LCA makes this possible from driveway to den. Do you cringe when entering your driveway and garage area late at night because you know you will have to fumble to find that back door key in the minimal moonlight? Do you worry that your home will become a target for thieves while you and your family are away on summer vacation? 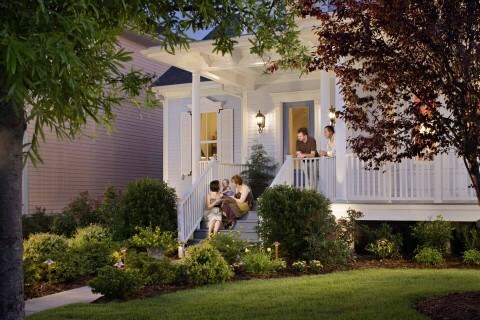 If these scenarios sound familiar to you then Outdoor Lighting of Nashville can help. Our lighting control automation, or LCA, technology can make you life easier and offer you the conveniences that you never dreamed possible. One of the features that is available with our LCA technology is what we refer to as ” the driveway sensor”. This feature puts an end to coming home to a dark house and can’t find the keys situation you may be finding yourself in. Outdoor Lighting Perspectives of Nashville programs the lights to automatically come on when you enter your driveway at night. Not only are you ensured safe passage right to your door, but we can program the feature to automatically turn on any multitude of chosen exterior and interior lights as well. This will safely take you from the top of the driveway to the safety of your home interior after a hard day with no worry or struggle, just peace of mind. Another wonderful feature we offer is what we call “someone’s home”. This feature can be programmed with both your interior and exterior lights to give the appearance that someone is home, by simultaneously cutting on both indoor and outdoor lighting to mimic the pattern in correspondence with someone walking around their home at night. These lights are programmed so if the home is being watched, no one is the wiser, and your home is safe while you and your family is away having fun. A great feature we offer using LCA technology is called the “safe entry” feature. This feature works much like the driveway sensor feature, the difference is the technology is programmed into a key fab you can place on your key chain to turn on both interior and exterior lighting at the simple touch of a button. 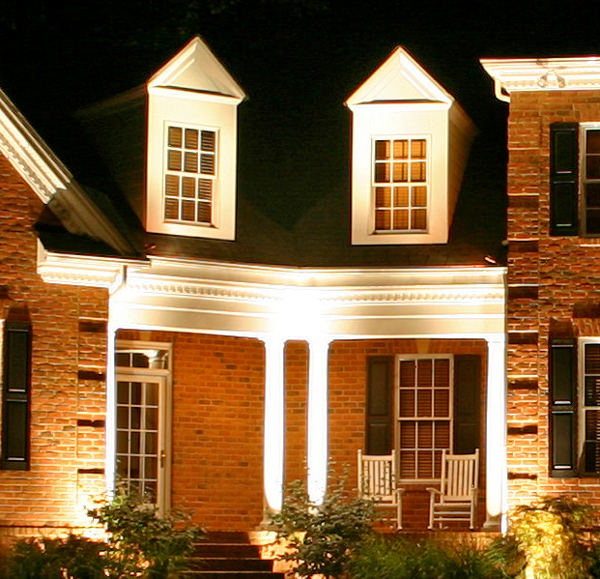 Outdoor Lighting Perspectives of Nashville proudly offers these LCA features and many more to our valued outdoor lighting customers to make their lives hassle free, and their home safer. Remember: a well-lit home is a safer home indeed. Outdoor Lighting Perspectives of Nashville creates this stunning effect by wrapping the tree's branches and trunks in festive lights. Even though the winter weather outside may be frightful, the holiday lights we are beginning to see around town are so delightful. In towns and suburbs all around the country the Christmas rush is on. This includes designing and installing your residential and commercial holiday lighting display in time for the upcoming holiday. 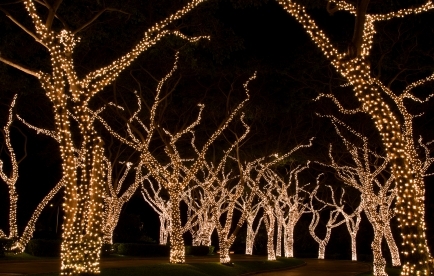 Outdoor holiday lighting is an important element of decorating for Christmas. 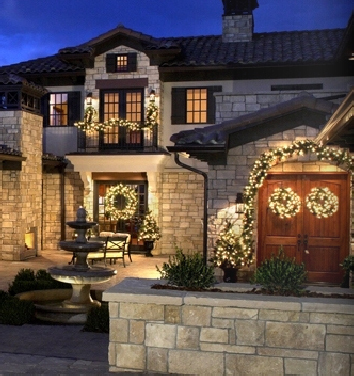 A well decorated home or business is not complete without beautiful Christmas lights. In order to create a cohesive theme or mood for the holidays it’s important to include outdoor Christmas decorations in the scenario, and the most effective and enchanting way to do this is by adding outdoor Christmas lighting. One facet of outdoor holiday lighting is to decorate select trees within your lawn and landscape to reflect the beauty and spirit of Christmas. 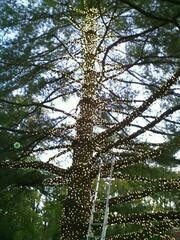 Tree lighting for the holidays by Outdoor Lighting Perspectives of Nashville. The origins of the lighted Christmas tree trace back to the 17th century and in 1882 electric lighting was introduced as a viable way to illuminate the interior Xmas tree. The same traditions that make lighting and decorating your interior Christmas tree can carry out to lighting exterior trees for the holidays as well. Outdoor Lighting Perspectives of Nashville has been breathing the magic of the holidays into trees all over the Nashville area for over 20 years. One of the most enchanting lighting elements used in our exterior Christmas tree lighting is called tree wrapping. Wrapping exterior trees with holiday lights adds class and refinement to your landscape during the season and can also create a focal point of interest to your holiday lighting design. The key to a well-wrapped exterior Christmas tree is based on the same theory used to expertly wrap a holiday gift to place under your tree for the holidays. Careful and even placement of lights, making certain to leave no gaps, or empty spots is crucial in creating the desired effect. In certain circumstances we have even employed the assistance of a crane to make sure each and every light is wrapped in perfect precision around the trunk and branches of the tree which you are illuminating. 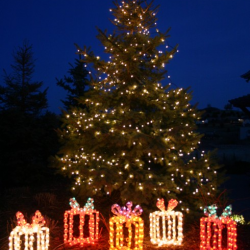 Outdoor holiday tree lighting such as tree wrapping can be used in a variety of presentations. One way to create a dramatic impact is to wrap multiple trees along linear areas of your landscape such as a fence line, or driveway border. The effect of multiple wrapped trees illuminated in perfect unison can result in an enchanting “winter wonderland” effect that will make your guests feel like a kid again. Choosing a single conifer candidate to wrap with lights can also result in a breathtaking effect in your landscape as well. One beautifully lit tree can become the star in your outdoor lighting design, because even with outdoor holiday lighting, less is sometimes more.